The German car manufacturer is fairly resilient in the premium class. This is evident by participating in the event includes him in 2015 at the Shanghai Auto Show. 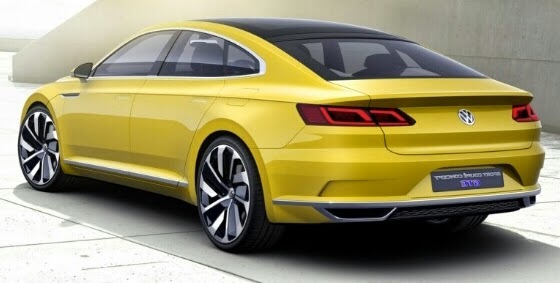 This time the Volkswagen launched the concept of the C Coupe GTE on new car products. This GTE Coupe Concept C at proclaim using four-cylinder gasoline engine and direct injection turbocharged TSI connected to the gear box with eight-speed automatic, yet the electric motor integrated in the transmission to be able to provide extra strength. As for the car's electric power storage batteries rely on a 14.1 kWh lithium-ion. As a result of this machine also has the power to 242 hp and torque of 369 ft-lbf are capable of driving 100 miles per hour in 8.6 seconds. Also in this new series also has several features aimed at driving modes maximize efficiency and performance, while for the use of pure electric battery power just enough to enable passing of a button. 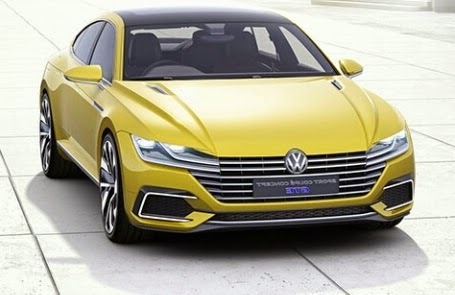 For the exterior design, VW C Coupe GTE is also a reflection of the latest design Wolfsburg, the concept of body sharp edges, stacked with horizontal lines so evident and classy, ​​classic and luxurious.